Prepare to be pampered, at The Bellevue Crescent Residence. Nestled in the world-famous New Town, with views to the Firth of Forth and the hills beyond, this fabulous property mixes comfort with splendour to create a unique home from home. 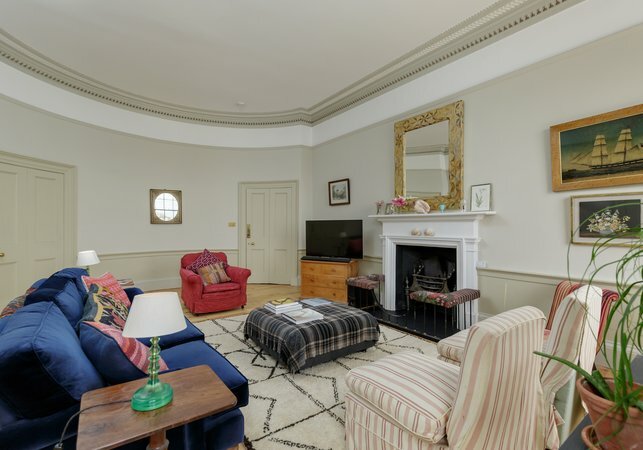 With four bedrooms sleeping up to 8 guests plus 2 children, oodles of light and space, and luxury fittings throughout, this apartment is one heck of a find. 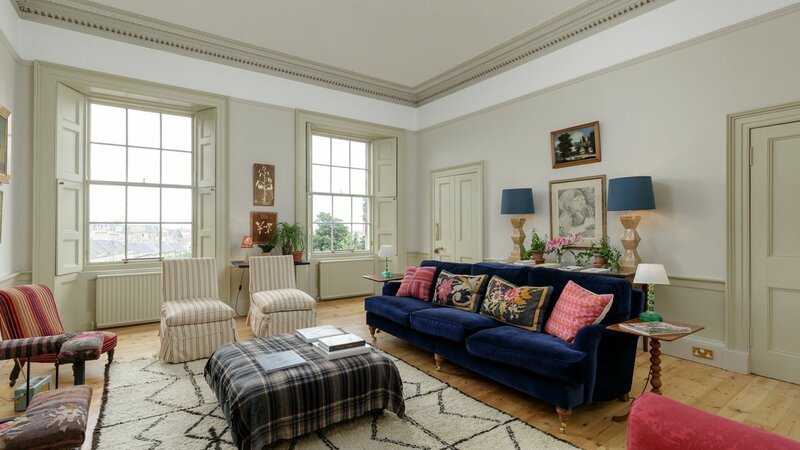 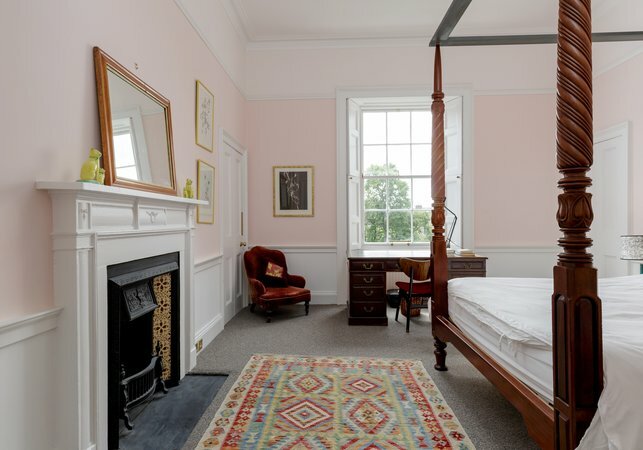 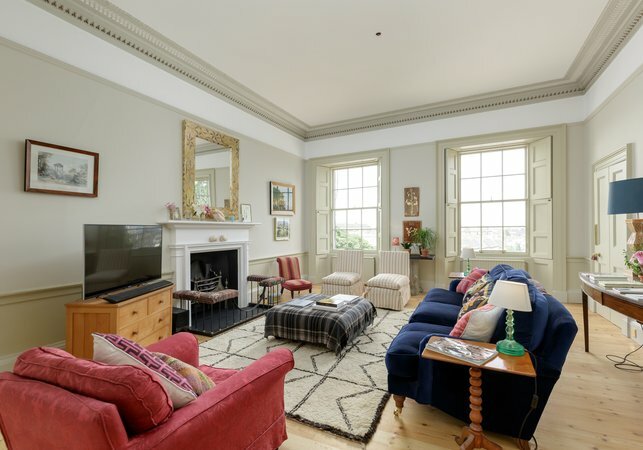 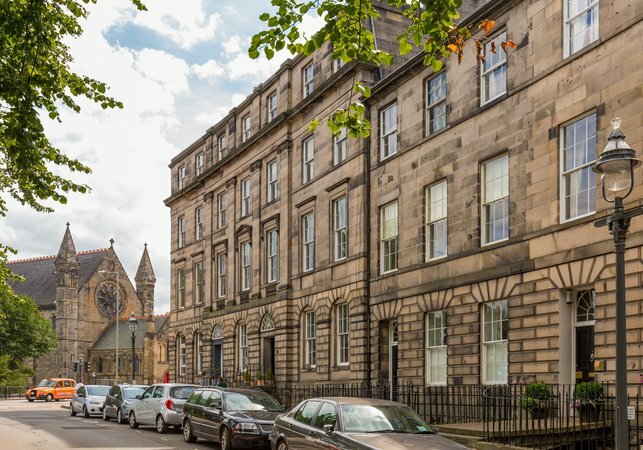 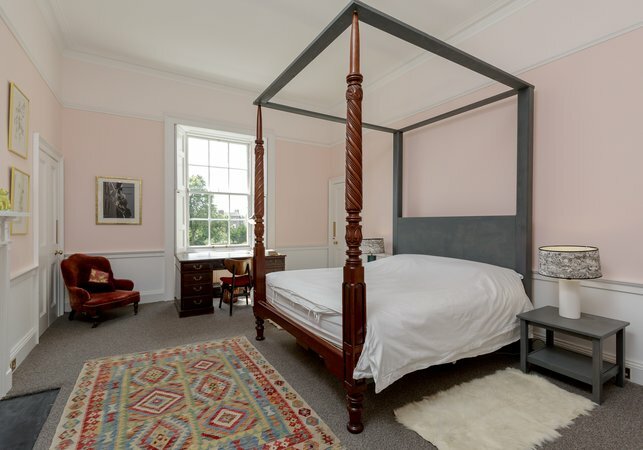 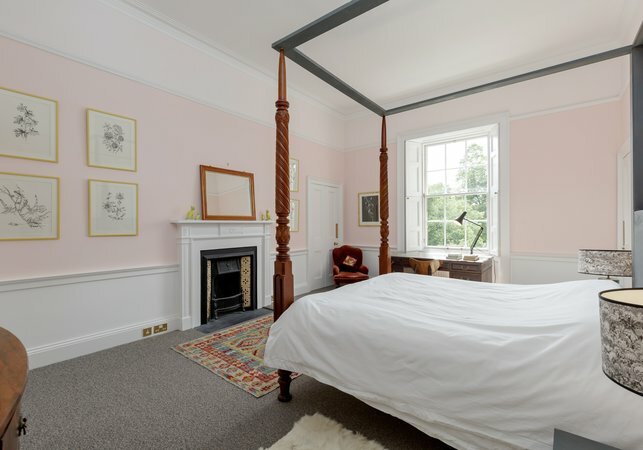 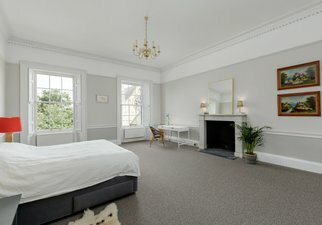 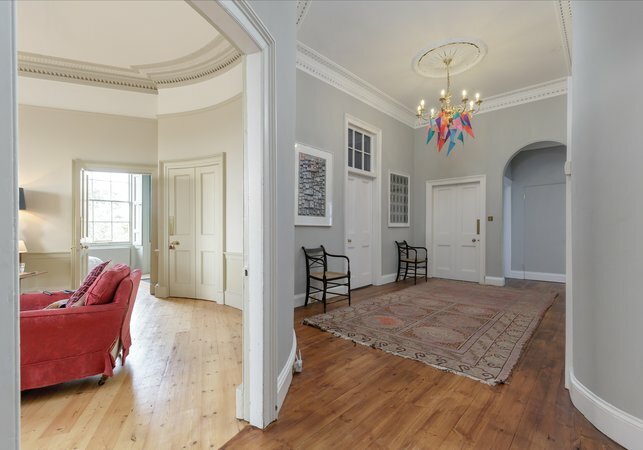 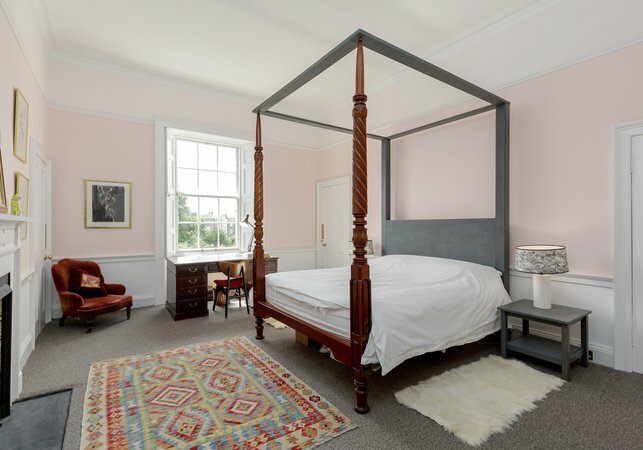 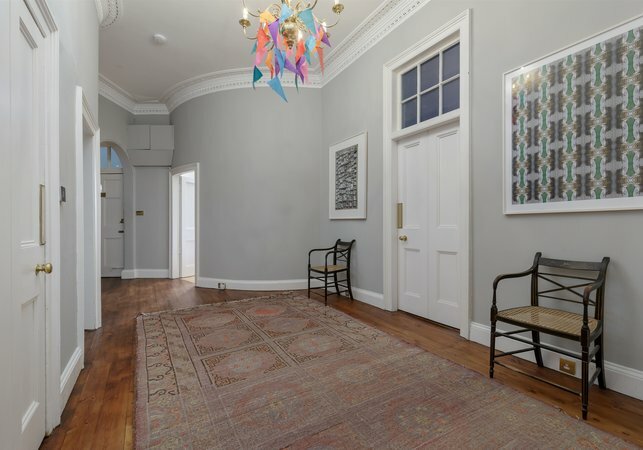 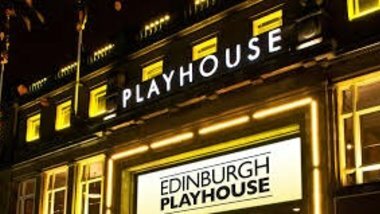 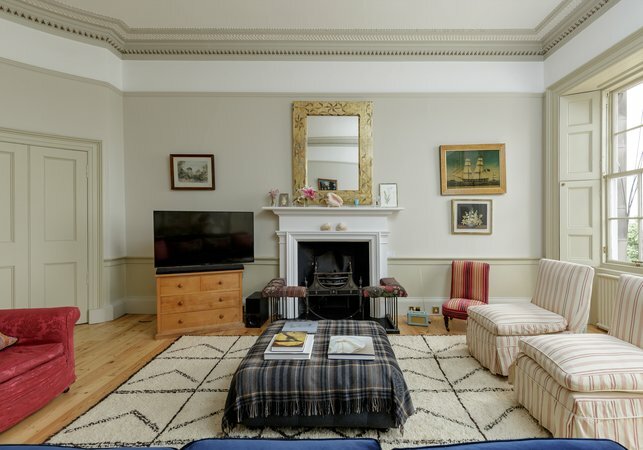 As if the glorious interior wasn’t enough, you’re also treated to a prime location just off of ever-popular Broughton Street, with Edinburgh Castle and the Royal Mile just a haggis’ throw away. The very generous living room is lovingly decorated with high quality furniture and artwork, and has ample seating, including an extra-large sofa and armchairs. Traditional, double fronted windows let in plentiful daylight, highlighting the thoughtful interior design and original Georgian features lovingly maintained. 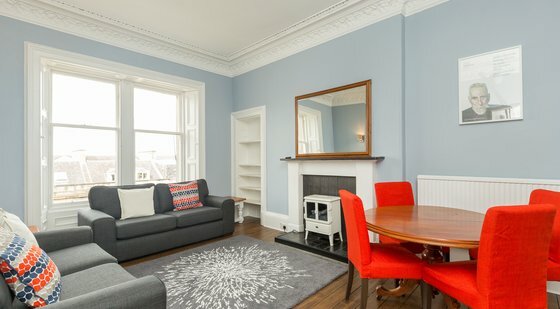 Entertainment needs are also catered for, with large Smart TV and super speedy fibre optic WiFi. 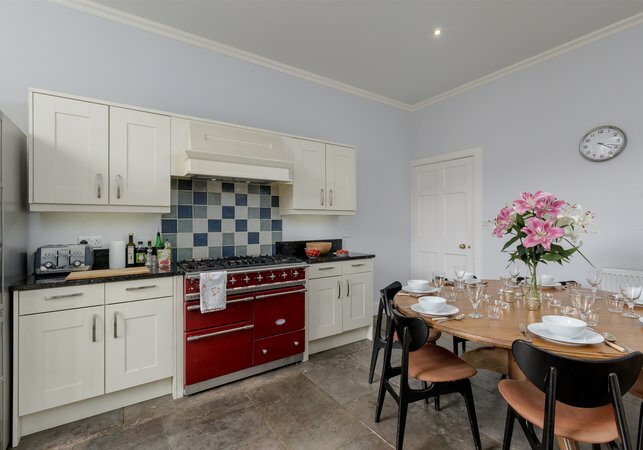 The impressive kitchen is perfectly formed, mixing classic features with modern design, and all the appliances you could desire, including dishwasher coffee machine, and large range oven. 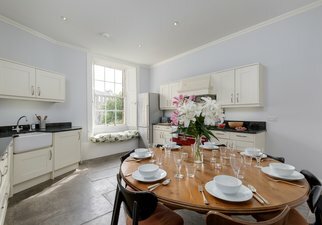 A grand dining table allows for a sophisticated sit-down occasion if you fancy rustling up some culinary treats, no doubt using fresh delicacies purchased locally. One en-suite bedroom and 3 further sizeable bedrooms invite you in for a soothing night’s sleep, all decorated in calming, neutral tones but each with their own distinct style. 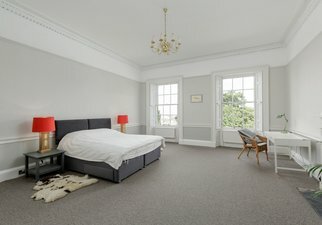 Guests can choose from one superking room, one kingsize room, or two zip’n’link rooms that can be set up as either twin or superking. 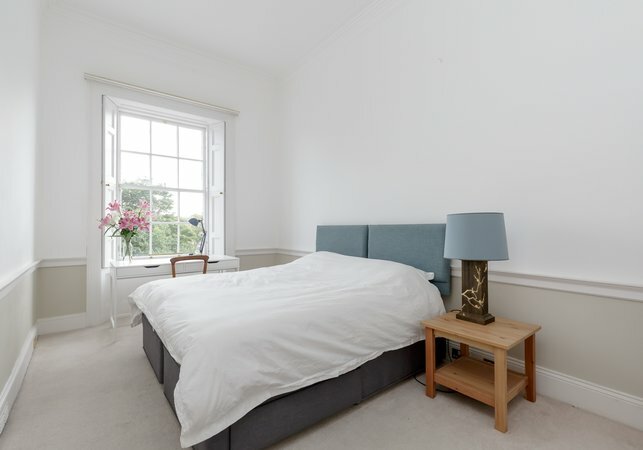 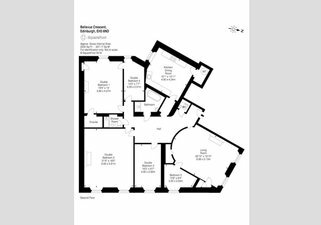 All bedrooms have plentiful storage space and large windows. 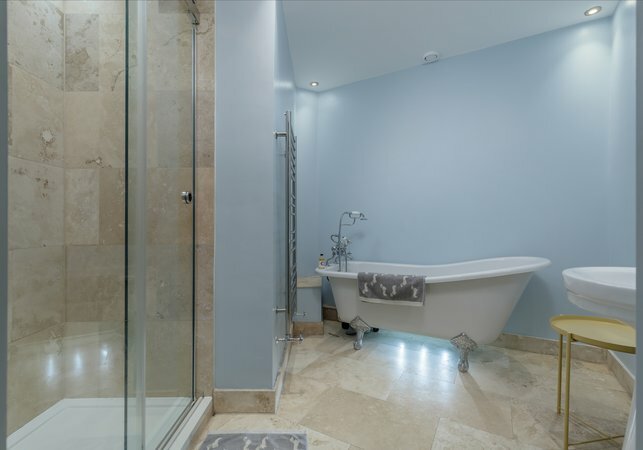 The luxury continues in the family bathroom which boasts underfloor heating, a freestanding bathtub and separate shower. 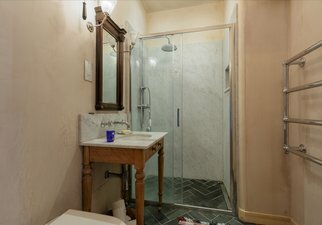 An additional, modern shower room with toilet provides flexibility for large groups. 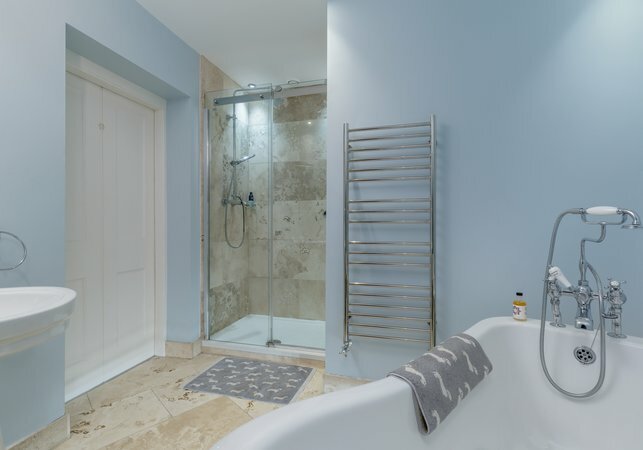 All bathrooms benefit from heated towel rails, and there is a further WC for convenience. In terms of location, you couldn’t ask for more. 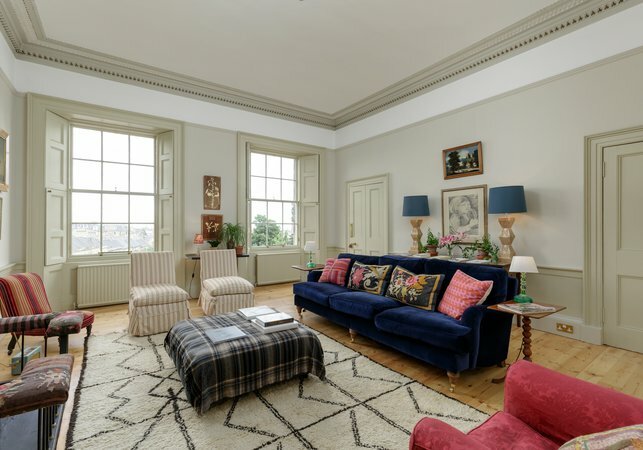 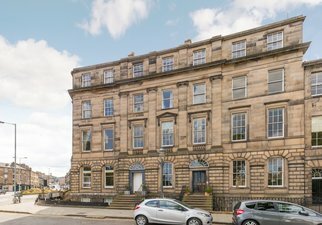 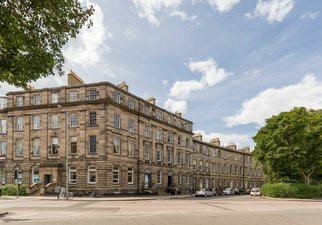 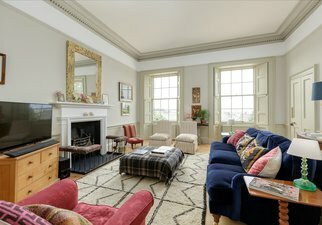 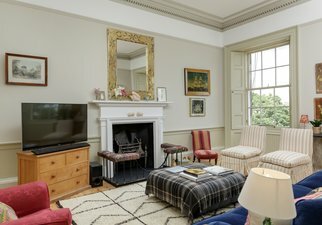 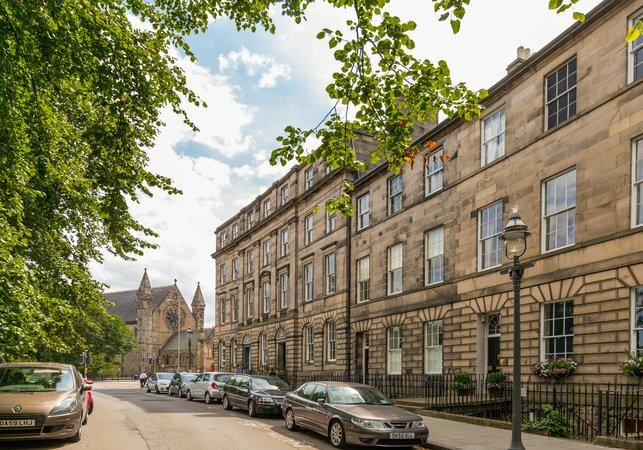 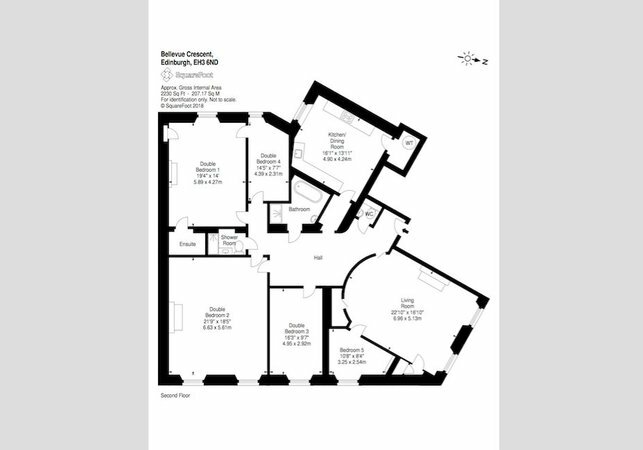 The Bellevue Crescent Residence benefits from a fabulously central location in a residential Georgian street that perfectly demonstrates the New Town grand design. 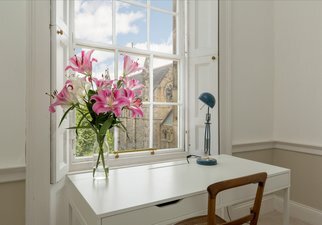 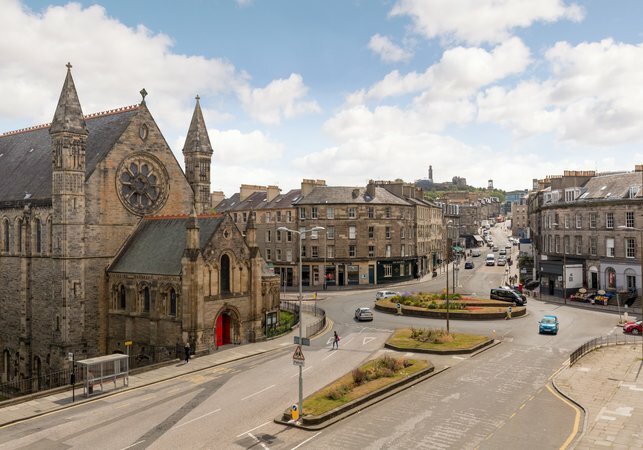 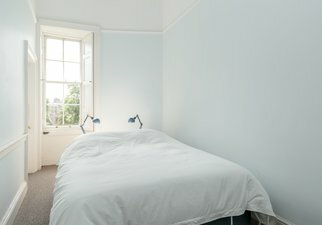 The location enjoys all the perks of city centre living, just a few minutes’ stroll from Boughton Street and Canonmills, both with great selections of independent shops, cafes and restaurants, as well as familiar brands. 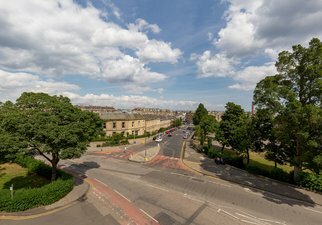 A large Tesco is just around the corner. Two bedrooms with zip and link beds which can be set up as a Kingsize OR Twin beds.